Hi Shelby and Shelby and Tinley and Krysten! Yareli, I hope you had a nice St. Valentine's Day too. 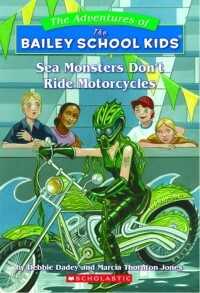 Sukhleen, I'm so glad you like Sea Monsters Don't Ride Motorcycles. My husband has a great big motorcycle. Luckily, it's red so I guess he's not a sea monster! Alexandra, a good way to come up with ideas for stories is to brainstorm. Just say, what can I write about? How about this? This? Click here to get some suggestions for things to write about. Brandon from Australia, how is your writing going? Happy St. Valentine's Day to you Willy!! I am trying to be extra sweet today to everyone I meet. How about you? 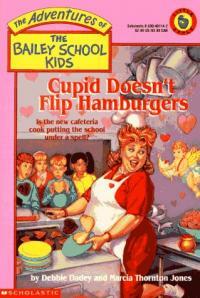 Anika, I'm so glad you love Cupids Don't Flip Hamburgers. It's perfect for today! 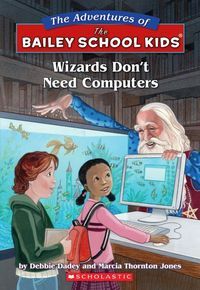 Lucas, I am happy you are enjoying Wizards Don't Need Computers, especially since I used to be a librarian. Do you think I am a wizard? 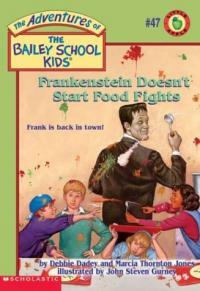 Hi Madhumita and Nive, there are a couple of Bailey School Kids Valentine's books: Cupid Doesn't Flip Hamburgers and Cupid Does Eat Chocolate Covered Snails. I have three children and I live in PA. I have lots of favorite books and one is Danger in the Deep Blue Sea. I answer some letters every day to keep up. Mr. Smith and class, I look forward to visiting Bend Gate. Did you know I did my student teaching at your school? My favorite color is blue and I'm a little over a half of a century old. Usually the person in charge of my school visit orders books to sell. I will check with that person to see if she is doing that. If not, I hope you'll come to the Evansville Barnes and Nobles on Sunday, Feb. 24th at 2:00 and I'd be happy to autograph your books. Happy early birthday Kyle! Hey Nive, awesome to hear from you. I wonder if you'd like to try the Keyholder series?